Experts come together in this webcast to explore the importance of treatment teams in RA care. See how patient engagement can maximize your approach. Rheumatoid arthritis (RA) is a chronic inflammatory disease affecting over 1.3 million Americans and approximately 1% of the global population.1 Many treatment options are available to treat RA, and these agents may be used as monotherapy, as sequential treatment strategies, or as combination treatment. To successfully treat patients with RA, clinicians must be aware of the various treatment strategies outlined in the ACR guidelines and clinical evidence that supports these treat-to-target approaches. The management of RA is complex and requires the involvement of the entire treatment team—that includes the patient—in order to maximize the benefits of existing treatment approaches, incorporate new treatments when appropriate, and ensure the health care needs of all patients with RA are met. Rheumatoid Arthritis Support Network. 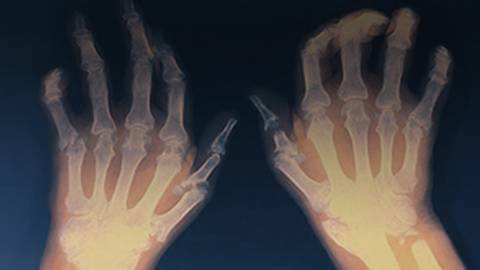 Rheumatoid arthritis facts and figures. Rheumatoid Arthritis Support Network Website. https://www.rheumatoidarthritis.org/ra/facts-and-statistics/. Get Your FREE Digital Health Advisor Kit! Step 2: Visit https://packhealth.com/refer-patients and click “Get Started"
Align treatment decisions with ACR recommendations which support a treat-to-target approach in the care of patients with RA. Critically appraise DMARD monotherapy treatment options, including JAK-inhibitors in the care of patients with moderate-to-severe RA. Integrate one best practice that can be utilized by the multidisciplinary care team to monitor for signs and symptoms of methotrexate intolerance and medication nonadherence. Describe treatment decisions that align with ACR recommendations which support a treat-to-target approach in the care of patients with RA. 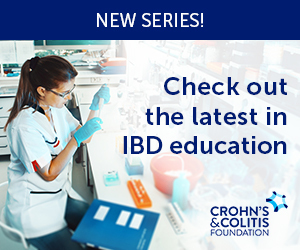 Identify best practices that can be utilized by the multidisciplinary care team to monitor for signs and symptoms of methotrexate intolerance and medication nonadherence. Rheumatologists, PAs, NPs, nurses, pharmacists, and other healthcare providers who treat patients with rheumatoid arthritis. CME Outfitters, LLC, designates this enduring material for a maximum of 1.5 AMA PRA Category 1 CreditsTM. Physicians should claim only the credit commensurate with the extent of their participation in the activity. Dr. Calabrese reports that he is a consultant for AbbVie Inc.; Centecor Biopharmaceutical; Crescendo Bioscience, Inc.; GlaxoSmithKline; Horizon Pharma; Janssen Pharmaceuticals, Inc.; Pfizer Inc.; Regeneron Pharmaceuticals, Inc.; and UCB, Inc.
Ms. Eileen J. Lydon has no disclosures to report. Dr. Rochelle Rosian has no disclosures to report.